Lol. But Minecraft is OLD! It was once the most popular game, and now, it’s dead. I read it, and cried a bit. I feel so so so so so SO bad for Barley! But I am glad that Rileypaw and Bellapaw became a part of SkyClan, which was their dream come true. Also, the print of this book is kinda bad. The letters are huge, and the book is super skinny. The back and spine is plain white. I suggest you read it as an ebook. I still love the story! But it was sad. Kate, I have a question for you. 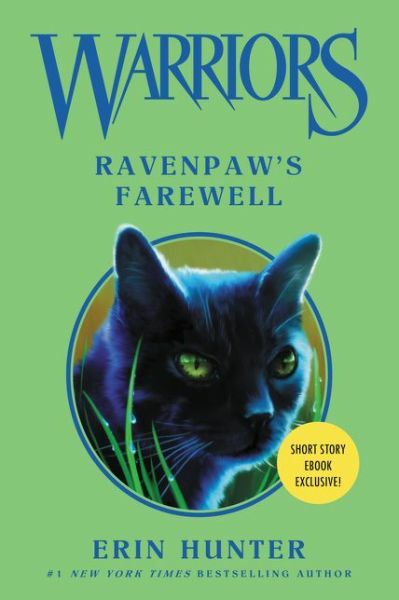 Why do you think Ravenpaw did not want a warrior name? A cat who loves the fish! He wasn’t a warrior. I think he wanted to be true to himself. Having a warrior name when he hadn’t done an assessment and hadn’t been given a name by his Clan would have felt dishonest. This thing doesn’t tell me how ravenpaw died? So, so, so, so sad. I cried.